Many people say its the little things that count, depending on what your talking about your partner may or may not agree with you 🙂 However when it comes to body language type stuff and reading people there is a little something worth paying attention to, and that’s micro expressions. Wikipedia Definition – A microexpression is a brief, involuntary facial expression shown on the face of humans according to emotions experienced. They usually occur in high-stakes situations, where people have something to lose or gain. 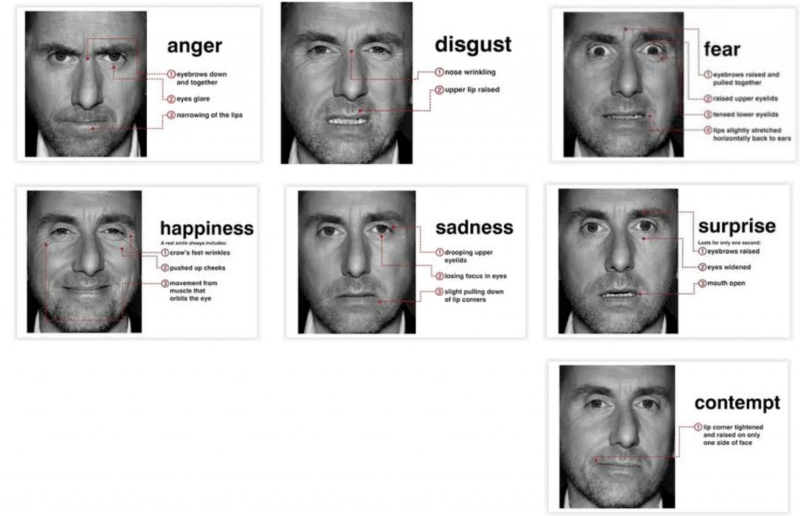 Unlike regular facial expressions, it is difficult to fake microexpressions. Microexpressions express the seven universal emotions: disgust, anger, fear, sadness, happiness, surprise, and contempt.They can occur as fast as 1/25 of a second. Microexpressions where first discovered / documented back in the 60’s, however I didn’t become aware of the studies and research until reading the work of Paul Ekman in the early 90’s. Back then I didn’t look into it to much, and its only been the last 18 months or so that its really peaked my interest, again from a social engineering perspective. I will also say in the last year people have been made a lot more aware of microexpressions due to the TV show Lie To Me with Tim Roth. 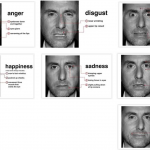 There are supposedly 7 universal microexpressions, however like anything its is important to study people to define the baseline of an individual. Below are some examples (from the TV show) of what these 7 microexpressions look like. So why should you bother looking into microexpressions. Well its simple, its provides you with a guide (educated guess) as to if someone is lying to you, as well as providing additional information as to how people are really feeling when responding to your questions and presence. I am sure you are aware of the tells and expressions of people close to you, and those who you interact with on a regular basis. No doubt it took you some time to become familiar with those expressions and the hidden meanings behind them. So if you want to go about learning these skills there are a few things you can do. The easiest and cheapest is to study people in your everyday observations and interactions. You could even team up with friends and go through various Q&A sessions study and note the responses. Another option, and I recommend in conjunction to the previous suggestion read various materials on the subject, but also look at videos, political speechesÃ‚ and training sessions to improve these skills. Personally I find I learn a great deal more from videos and images, than text alone, especially with this sort of material it is essential. The only tools I am familiar with myself are those of Paul Ekmans, both the METT (Micro Expression) and SETT (Subtle Expression) training tools. These tools feature large collections of images, showing quick demonstrations of expressions to learn and test yourself. For more information on Paul’s tools check out his website, I think he used to have some free tools, however now there is a demo option, and then the charged options ranging from $20 – $70. Update 2nd July 2012 – I have now completed the Humintell Elite Micro Expressions Training. This is a challenging but excellent course. With various cultural representation, frontal, side and 3/4 side view micro expressions at a blistering 1/16th of a second. I’ve used both METT and SETT and find them both very slow as training tools — mainly because of the unrealistic method used. I really loved Tim Roth’s show which I just happened to come across. I also love whoever started paying that much attention to people because I do not like liars or people who hide the truth. This is awesome and I wish that I could really open a firm that caught people in their lies. Thanks!